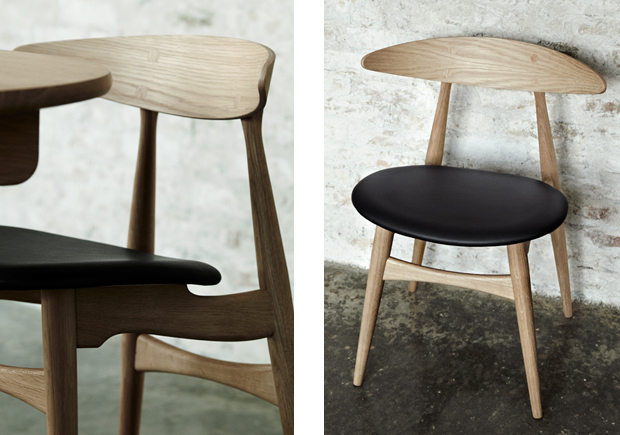 Last night I thought I’d revisit the Carl Hansen & Son website after I was researching the life and works of Hans J Wegner, a master designer in my mind. 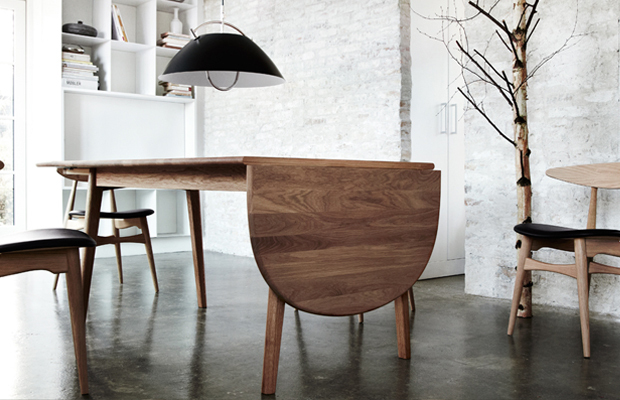 All of his furniture is highly inspiring and I love to see the background and context behind each object. Although I’d like to see more of this online, it would inspire me immensely, it’s actually quite rare to find imagery and information regarding the process and production of furniture pieces, instead today I thought I’d bring across some different imagery. 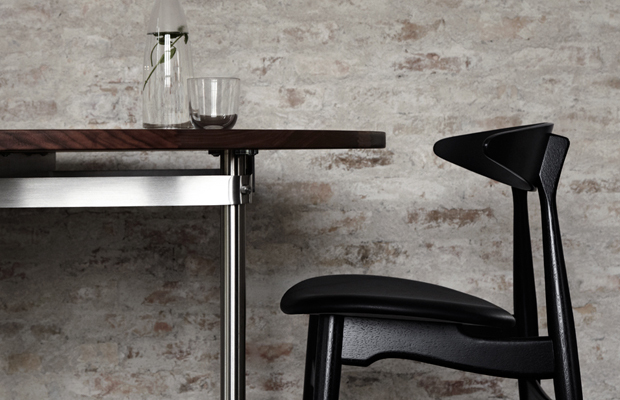 The specific set you see above and below is of a chair that’s been re-introduced by Carl Hansen & Son, the CH33. This chair designed by Hans J Wegner in 1957 was one of a catalogue of 500-plus chairs that he designed over his lifetime, the CH33 being in production for only ten years. 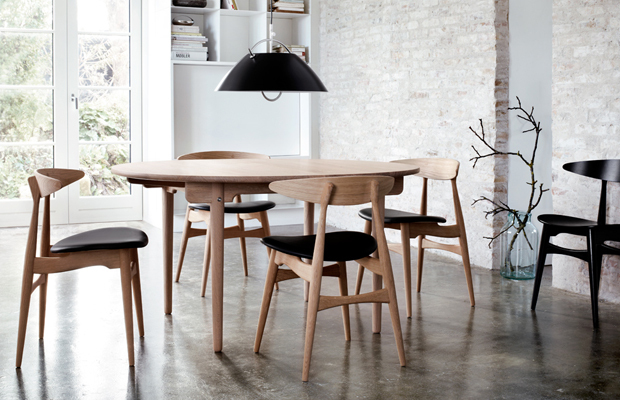 In my eyes this is a fantastic piece of furniture that’s really timeless, so I’m very much pleased to see Carl Hansen & Son bring it back into the spotlight once again. When Wegner originally designed it he made sure, like with all his furniture, that it was an organic shape that not only followed the lines of the eye but also that it could apply to the human form. Other elements that I like about his work include the fact that he wanted to keep his authenticity by using natural and honest materials, like I said in my post yesterday about matching aesthetics with ethics, this is the same in principle. And if you think about it, back then they didn’t have the technology like we do now so this should be an easy feat in todays world. 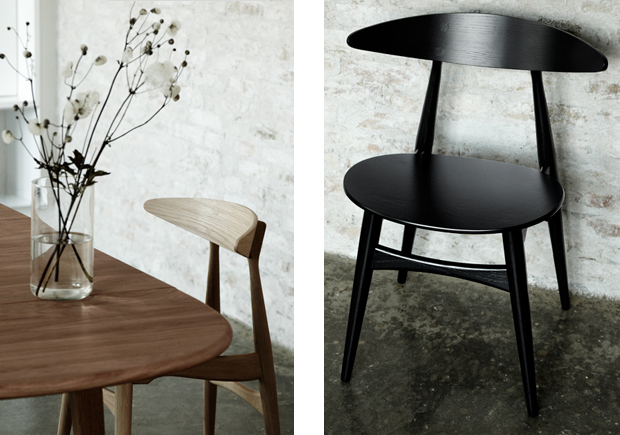 This re-introduction will wet the appetite of many mid-century enthusiasts, and although I would prefer an original version it’s nice to see the different styles being filtered into the collection by Carl Hansen & Son. 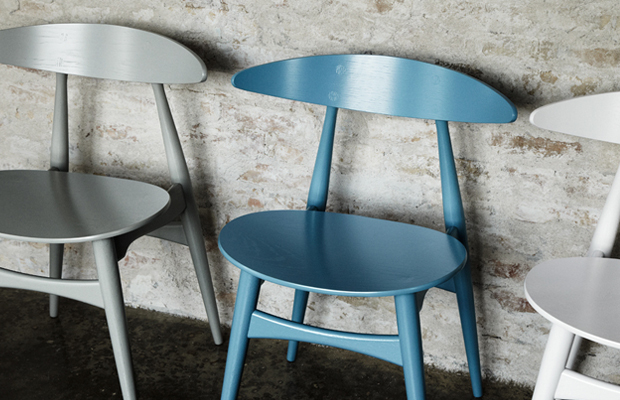 They’re now offering the chair in a variety of colours that have been taken from Wegner’s traditional palette, great for company interiors and big open spaces which require seating. My favourite has to be the below design which looks to have a leather seat, I like how they’ve kept it thin and close to the original form, this makes sense otherwise it would be bulky and ugly looking. 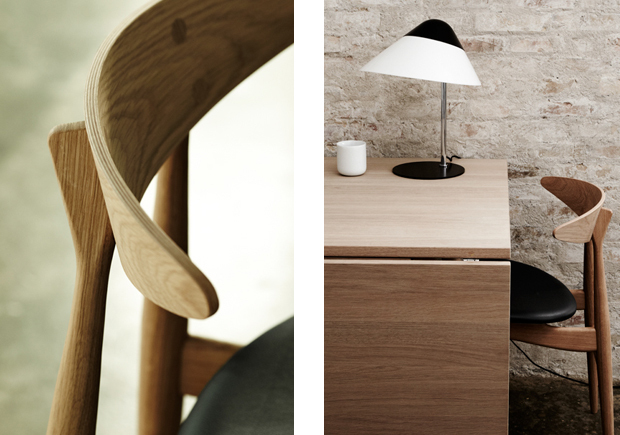 I hope you enjoy these images, to see more or if you would like to purchase head towards the Carl Hansen website through the link below.